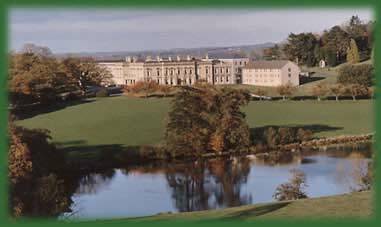 Dromantine is the location of the magnificent Dromantine Retreat & Conference Centre. It also is a centre for missionary animation and a residence for retired SMA priests. Dromantine is located about 6 miles north of Newry and just off the Newry – Belfast Road. The House and Grounds are exquisitely situated in some of the most beautiful countryside of County Down. A recent addition to Dromantine is the African Museum. Here visitors, school groups, families can see a wonderful collection of African art – carvings, masks, paintings and cloth. These Facilities, the Grounds and the location make it ideally suitable for Retreats, Chapters and Conferences. Contact the Centre for Details and Booking Form here. A Programme of Theology Studies has been established to facilitate the Christian Formation of adults in the environs of Dromantine. Contact the Centre for more details. Dromantine is a great source of much-needed funding for the Missionary Work of the SMA. Missionary Association CardsMaking use of our SMA Missionary Association Cards is one important way of supporting our work in Africa. The Family Vocations Crusade (FVC) is a long-established crusade of prayer and funding for the training of SMA missionaries worldwide. Summer Camps are held in July and August each year for the children of FVC members. This aims to generate interest in the missions among young people. For further details of any of the above contact the Main Office on (028) 30821964 or by email: dromantinecards@sma.ie . History of Dromantine:SMA House, Dromantine was acquired by the Society of African Missions in 1926. It was purchased because the SMA needed to accomodate the growing number of students who were joining the Society to become missionary priests. For 45 years it was the Major Seminary of the SMA. In 1972 the seminarians transferred to St Patrick’s College, Maynooth, the National Seminary for Ireland, and Dromantine continued to be a centre of missionary animation.